Who likes to party?! We like to party! I mean…it’s kind of what we do! We are only a few days away from the start of a NEW YEAR! We hope you all had a wonderful 2014. Here at Life Styled Events, we are stoked for 2015! Our New Years resolution is a little different this year. Our resolution is not to eat healthier. It’s not to make more money. It’s not to work out more and eat less. What is it you may ask? Our resolution is to keep you, our brides, our readers, our friends more engaged and informed on what we are up to! New Years Eve Twister, we think YES! Put a glittery spin on an old time favorite. 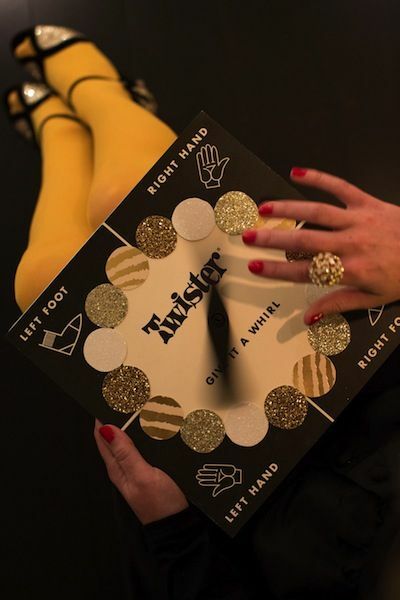 You will have your guest twisting, laughing and having a good ole’ time! 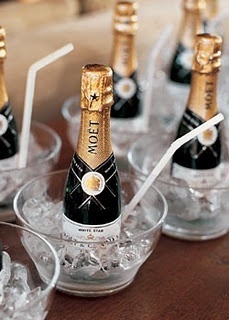 Take “poppin’ bottles” to a whole new level with these cute miniature champagne bottles. Shift this idea into cuteness overload by spray painting the bottles with gold metallic paint, or adding cute ribbon or glitter. Speaking of painting; check out this awesome DIY project. 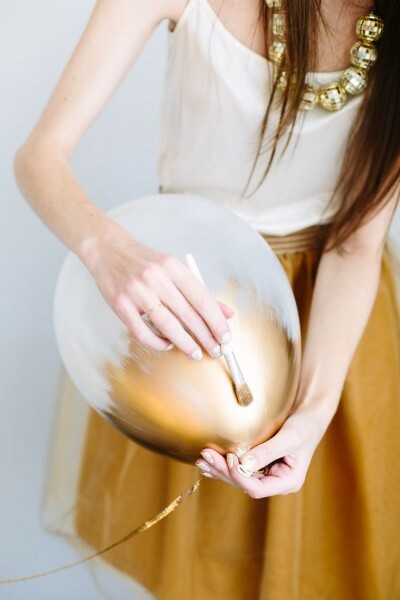 Leave your guest in awe with these creative, sassy and glamorous balloons. Liven up your glass of bubbly by adding a stick of rock candy. Sweeten the deal by adding cute wine charms to each of the glasses. Who doesn’t love a custom glass?! We wish you a very Happy New Year! May 2015 bring you many blessings, much joy and abundant happiness. We are excited to see what this year holds. Here is to the best year yet!